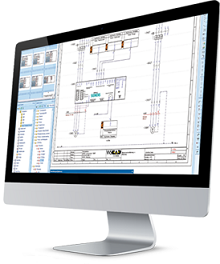 The WSCAD Professional Suite enables the scheduling, project planning, and documentation of larger electrical installations for industrial engineering and building service engineering. Utilise the Professional version for the planning, development and documentation of more complex projects. The built in online monitoring functions eliminate errors from the very beginning and productivity is thus dramatically increased.